View of the Majestic Theatre from the front of the balcony. 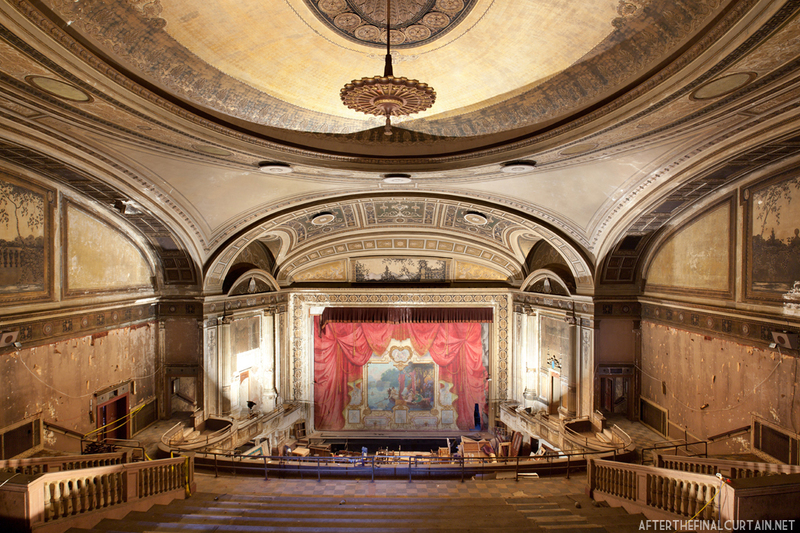 The Loew’s Majestic Theatre opened on November 4, 1922 in Bridgeport, Connecticut. 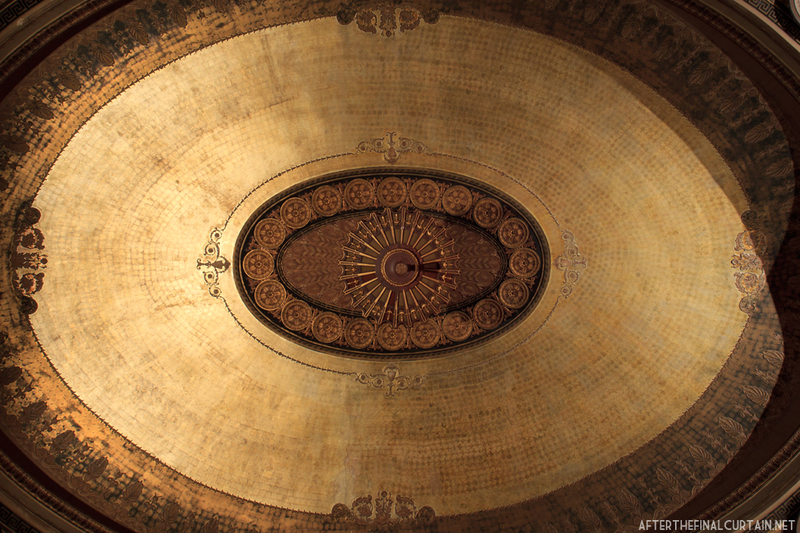 It was designed by architect Thomas W. Lamb (who also designed the other theater in the complex, the Loew’s Palace Theatre, and many other theaters at the time) for theater mogul Sylvester Z. Poli, who also owned the nearby Palace Theatre in Waterbury, Connecticut. A closer look at one of the frescoes painted by Hans Lehman. 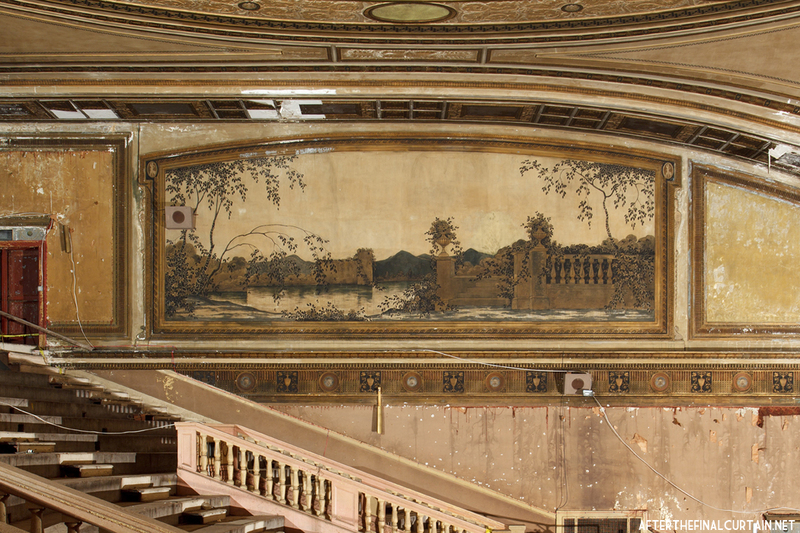 Lamb designed the theater in the Neo-Renaissance style, with frescoes of Italian formal gardens in the auditorium. The mezzanine in the lobby area is decorated with a large stained glass mural, which is currently covered with plywood to protect it from damage. 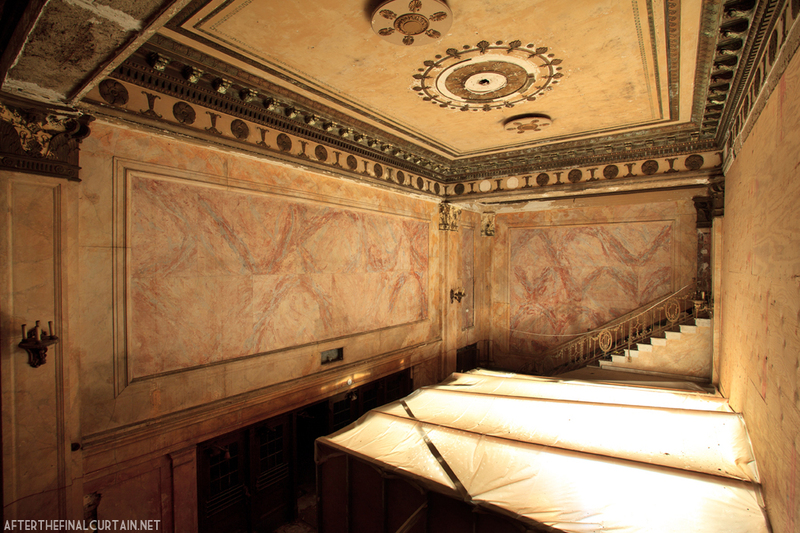 The Majestic’s lobby was decorated with real marble, as opposed to its sister theater which used imitation marble. This extravagance in the lobby may have been due to its small size; since the lobby was smaller than the Palace’s it was possible to use more expensive materials and a more ornate style without breaking the budget. 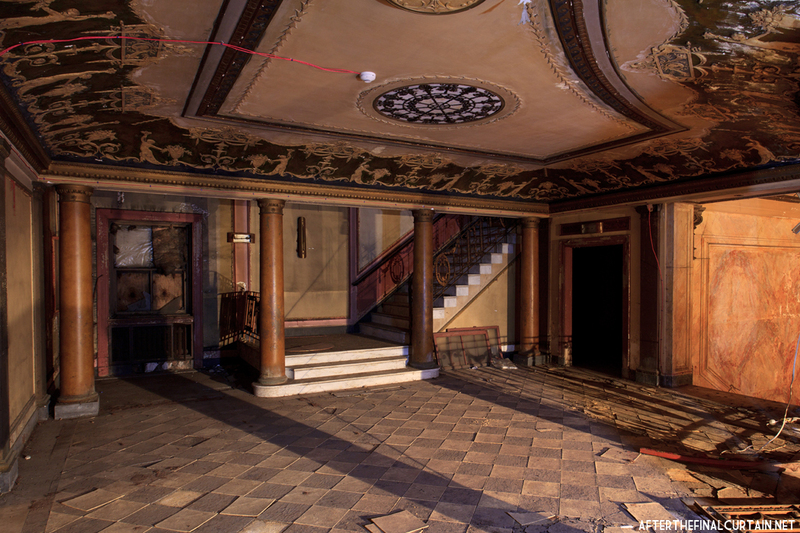 The lobby is currently in use as storage space for a local theater company. The Majestic celebrated its opening with a special event. Eddie Cantor, a Broadway actor turned movie star headlined the show with a Parisian review titled “Make It Snappy.” Like most theaters of its day the Majestic used gimmicks to generate buzz about its films. During a 1935 screening of “Mark of the Vampire,” a woman was hired to scream and faint during the screening. She was then taken to a waiting ambulance (all part of the act). 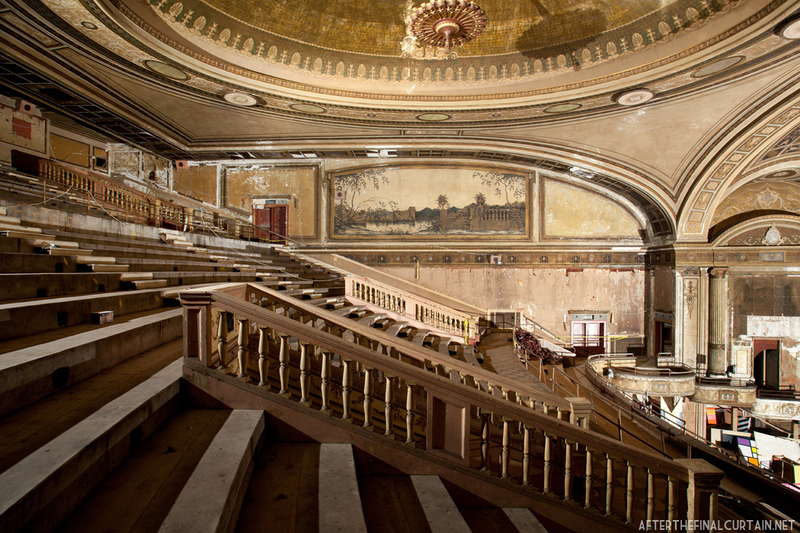 The mezzanine of the Loew's Majestic Theatre lobby. The Majestic was sold, along with the Palace, to Loew’s Theatres Incorporated in 1934. Loew’s Theatre Inc. closed the Majestic theater in 1967, eventually selling the building in the early 1970s. Both theaters in the complex were reopened and closed several times before closing permanently in 1975. 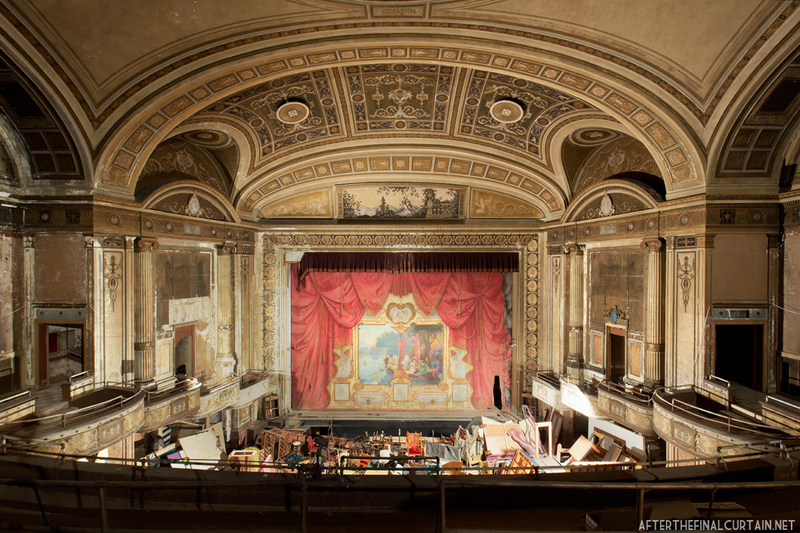 Today, the Majestic theater auditorium is used as a storage space for a local cabaret theater company. 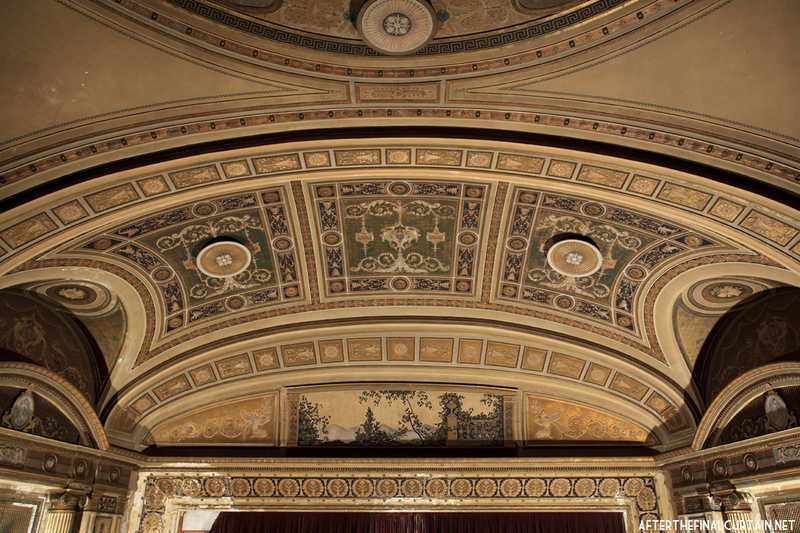 The city of Bridgeport is seeking proposals to restore the theater to use. 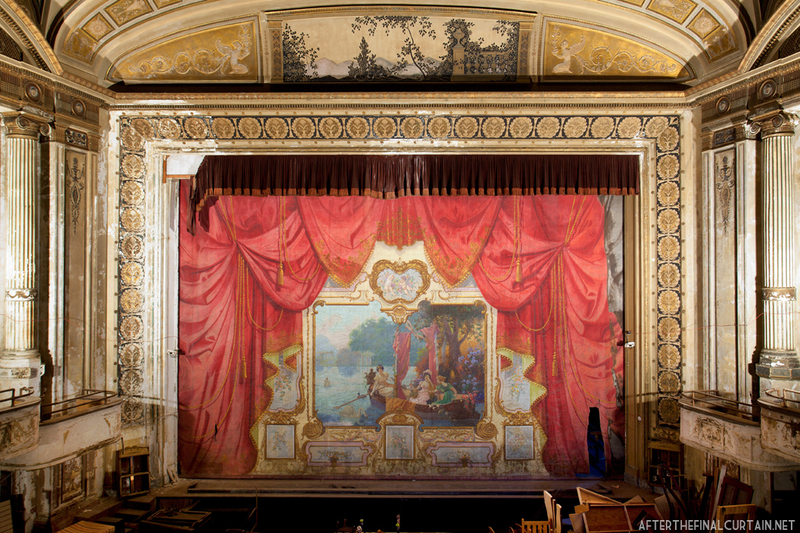 The theater curtain was decorated with a painting of a garden scene. All of the seats have been removed on both the balcony and main levels of the theater. The chandelier still hangs in the auditorium. One of the frescoes was painted above the proscenium arch. I love this site!! Thank you for all the beautiful pictures and history. Keep it up! Thank you for sharing your great pictures! beautiful but shocking. 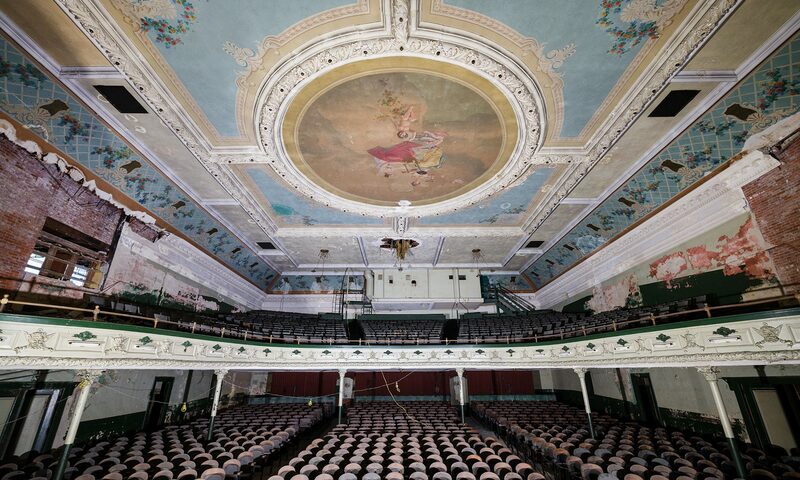 I used to perform at the palace theater in Waterbury and this for some reason is very intriguing to me. I am very surprised no one has done anything with this beautiful building!